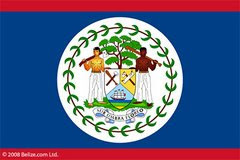 The Ninth of March is known as Baron Bliss Day, a national holiday in Belize, and will be celebrated on Tuesday, March 9. This date is set aside to commemorate the memory of Belize’s largest benefactor. The fourth Baron Bliss of the Kingdom of Portugal, Henry Edward Ernest Victor Bliss, was born in the Buckingham County of England on the 16th of February, 1869. Baron Bliss had amassed enough wealth to retire to a life of seafaring and fishing. It is not known if Baron Bliss had any children, but he was married to Baroness Ethel Alice Bliss. At the age of 42 he contracted polio, and decided to travel the world in his luxury yacht. In 1925, he set sail in his yacht the Sea King to the Bahamas, Jamaica and Trinidad, and fell in love with the climate of the Caribbean. On the 14th of January, 1926 Baron Bliss, with an invitation of the Attorney General of Belize, Willoughby Bullock, came to what was then the colony of British Honduras, now Belize, from Trinidad, where he was suffering from food poisoning. He died after only a few months off the coast of Belize aboard the Sea King. He fell in love with the beauty, and hospitality that greeted him in Belize. Because of his physical infirmity, he never set foot on Belizean soil. Before Baron died of food poisoning, he bequeathed a bulk of his money, almost US$2 million dollars, to the people of Belize. The fund is still used for the benefit of Belizeans and has made possible the building of the Bliss Institute- a performing arts center- a Library and Museum in Belize City, the Bliss School of Nursing, and has helped with the Belize City water supply system. The Baron is considered Belize's greatest benefactor. Part of the trust was designated for an annual boat regatta which is held every year in honor of the Baron. The focus of Baron Bliss Day in Belize City is this regatta. Other towns in Belize celebrate the day by having small boat races and parties. The trustees of the fund are the Governor General, the Attorney General and the Financial Secretary of Belize. Today the La Ruta Maya Belize River Challenge canoe race coincides with Baron Bliss Day. This race runs from San Ignacio in the west, to the East, along the Macal and Belize Rivers, once the only link between the town of San Ignacio, and the bustling port of Belize City. 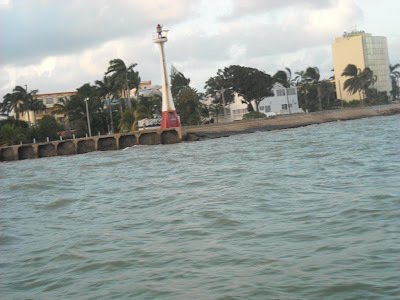 There is a Baron Bliss Memorial Lighthouse and Park located in the Fort George Area of Belize City. The Baron's tomb lies under the lighthouse overlooking the harbor entrance to the city. As of this year, the day will also be known as Heroes’ Day to celebrate the contributions of other Belizean heroes. A happy and safe Baron Bliss Day and sincere thanks to the Baron! Even though we've learnt about Baron Bliss in school; over the years we tend to forget, Thanks Linda for keeping us informed. I always wondered who Baron Bliss was. Hey Linda, thanks for digging up this story for us, we do tend to forget the details as the years go by. Everyone knows of Baron Bliss Day, and Baron Bliss Grave, but the rest of his story tends to go to the back of our minds..